Improve Your English Writing Skills Instantly! You hate writing in English, right? Trust me, you aren’t alone! Most of my students hate it too. I immediately opened my laptop, Google searched ‘free English writing check online’ … and there it was at the top! This is one of THE BEST tools to help you improve your English writing skills right now. And it is completely FREE! What on Earth is Grammarly? But this isn’t even the best part! Grammarly also tells you WHY it is incorrect! In other words, it teaches you how to improve your writing for next time! Upload your document or write your document in the online Grammarly app. Let Grammarly do the hard work! It couldn’t be any simpler! All you need to do is select the changes you would like to make. Easy! It’s for you! By you I mean any and every English language learner! Grammarly is already being used by 4,000,000+ people! Written an email and you found it difficult. Completed your final essay at university. Blogged on your WordPress site but couldn’t think of the correct word. Told people about your day on LinkedIn, Facebook or Tumblr. You no longer need to be worried about making mistakes and looking silly. The browser extension detects your mistakes instantly and helps you correct them. You can learn from your mistakes and expand your vocabulary at the same time! Okay, how much will it cost me? Nothing! Zero! IT’S FREE! And not just for 7 days or 14 days, but forever! Of course, there is a premium version (which I admit I have not tried) but the free version works perfectly for me. Why would I not use it if it is free?! I personally have downloaded the app, the Google Chrome browser extension and I use the online app too. 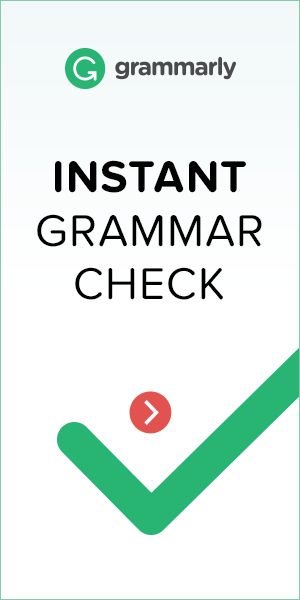 I am also an affiliate of Grammarly (this means I receive a small payment for every person who registers with Grammarly through these links) but I would not promote a product I do not use myself. And I use Grammarly almost EVERYDAY since I found it! ⟵Translating English vs Studying English: Which is better? That is a good target, Soumaya. What areas do you need you need to improve?